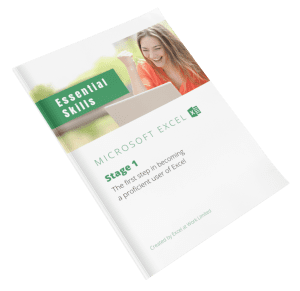 This introductory course is offered as a 3.5 hour onsite short-course focusing on getting you started in Excel. It covers the skills that are essential to creating professional worksheets.  Is this course suitable for you or your team? This hands-on course takes learners through creating an expenses workbook. You will learn how to layout the expense sheet, add calculations, insert additional data, quickly apply formatting to give the worksheet a professional look, preview and print the worksheet. Additional exercises and practice files are supplied for use during the training and for use post-training, allowing you the opportunity to repeat the exercises again in your own time. Workshop delivery consists of 3.5 hours hands-on tuition. Please note the duration is set for a maximum of 12 people. We bring the training to you. That’s right! We don’t run scheduled courses. We come onsite to your place of work on a day and time that works for you. Avoid traffic and parking hassles and learn at work. And if you don’t have a laptop, we can lend you one. We have 6 to share. Pricing is adjusted depending on the number of attendees. Minimum of 3, maximum of 12. Dates and preferred times go quickly so book yours today! Use our online booking system to reserve and manage your session.